Print News | Md. 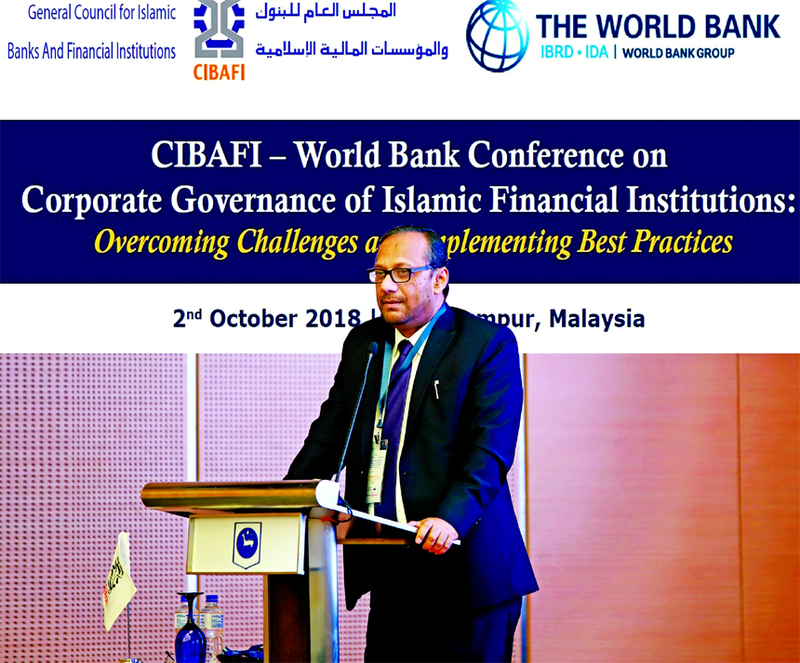 Mahbub ul Alam, Managing Director of Islami Bank Bangladesh Limited, addressing the international conference on \'Corporate Governance of Islamic Financial Institutions: Overcoming Challenges and Implementing Best Practices\' jointly organized by General Council for Islamic Banks and Financial Institutions (CIBAFI) and World Bank Group as session speaker at Kuala Lumpur recently. Experts of Islamic financial institutions from different countries of Europe, America, Africa and Asia also attended the conference. Md. Mahbub ul Alam, Managing Director of Islami Bank Bangladesh Limited, addressing the international conference on 'Corporate Governance of Islamic Financial Institutions: Overcoming Challenges and Implementing Best Practices' jointly organized by General Council for Islamic Banks and Financial Institutions (CIBAFI) and World Bank Group as session speaker at Kuala Lumpur recently. Experts of Islamic financial institutions from different countries of Europe, America, Africa and Asia also attended the conference.